Bellbunya's first monthly organic swap-meet cafe and healing day in Belli Park starting Tuesday, 21st January, from 9am to noon. There will be live acoustic music in the Sustainable Kitchen Cafe, together with a range of delicious organic, vegan and gluten-free cakes, kambucha and chai, and our own Chef Mana's home-made organic sushi. We are providing a free platform where people who are growing organically can support each other by local purchasing, swapping and networking. People are invited to bring any excess produce, home-made preserves or plants for sale - there is no cost for participation. At the same time, a healing day will be operating in the hall where people can bring their therapy/healing modality to share, or receive a treatment for $10. Come and be pampered and revitalise after the hectic Christmas rush. Amongst the offerings will be acupuncture and oriental medicine, ZenThai Shiatsu massage therapy and esoteric healing. This can be an opportunity for people to become known and network with other people in the area, and to share their modality. Givers are asked to come 8-8:30am and bring their specialised equipment, such as massage tables. All givers are welcome to a free cuppa, cake and networking. Taosh @ Bellbunya in December and January Book an appointment! Pia is available in person by appointment at Bellbunya and the Sunshine Coast for Astropathy consultations (download the flyer here). Pia uses a combination of Naturopathy, Evolutionary Astrology and energy healing (The Emotion Code) to help you find balance and good health. Tone is also available by appointment for consultation and workshops from garden design to men’s groups. Empowering Picnics are aimed at providing a family and community-friendly space to exchange information about the challenges we are facing together, and to exchange ideas about how we can solve these. They are a way to connect and integrate communities to effect real change, empowering people to create the world they want. While in Australia, Pia and Tone are available to share their experiences from Dunedin. If you are interested, please contact them - see below. or Pia directly at info@taosh.co.nz and after 10 December on 0431 616 828. Our monthly Sustainable Kitchen Organic Cafe will be in full swing again the fourth Thursday morning of the month, at Bellbunya Community in Belli Park - next event Thursday, 27 March, from 9am to 1pm. We are providing a free platform where people who are growing organically can support each other by local purchasing, swapping and networking. People are invited to bring any excess produce, home-made preserves or plants for sale - there is no cost for participation. There will be inside space available on tables for displays; bring any signage you need. There will be live acoustic music in the Sustainable Kitchen Cafe, together with a range of delicious organic, vegan and gluten-free cakes, kambucha and chai, and our own Chef Mana's home-made organic sushi. Back-up music in the cafe is provided by plants at Bellbunya, via "the Machine for the Music of the Plants" - the first and only of its kind currently in Australia. If you are a healer, this can be an opportunity for people to become known and network with other people in the area, and to share your modality. Healers are asked to come at 8:30am and bring their specialised equipment, such as massage tables. All healers are welcome to a free food voucher so that you can help yourself to a cuppa, cake and sushi for the first session, and take home $5/session after that to defray petrol and other expenses. Feel free to bring your business card or flyer. This is a wonderful chance to receive a healing session, such as Zen Thai Shiatsu Massage and Therapy, Estoric healing, Acupuncture, readings... the range depends on who comes on the day! Our last organic swap-meet cafe and healing day in February was a huge success, with around 60 people enjoying the ambiance, great food, wonderful talk by Alison Smith on Findhorn, and the gifts of healing. Imagine living off the grid where houses are cheap to build, can help provide food for the family and are self-heated or cooled all year round. Ryan Mayne will discuss basic earthship design principals. Find out what is happening around the world with the construction of ecofriendly, sustainable housing. Get tips on making your own home more environmentally friendly and cheaper to live in. Ryan has been touring earthship houses in the States and has come up with some ways to adapt them for the Sunshine Coast climate. He has been giving presentations at the local library and we are grateful that he's going to share his enthusiasm for sustainable building with us! The ZEGG-FORUM is a ritualized form of transparent communication for larger groups. 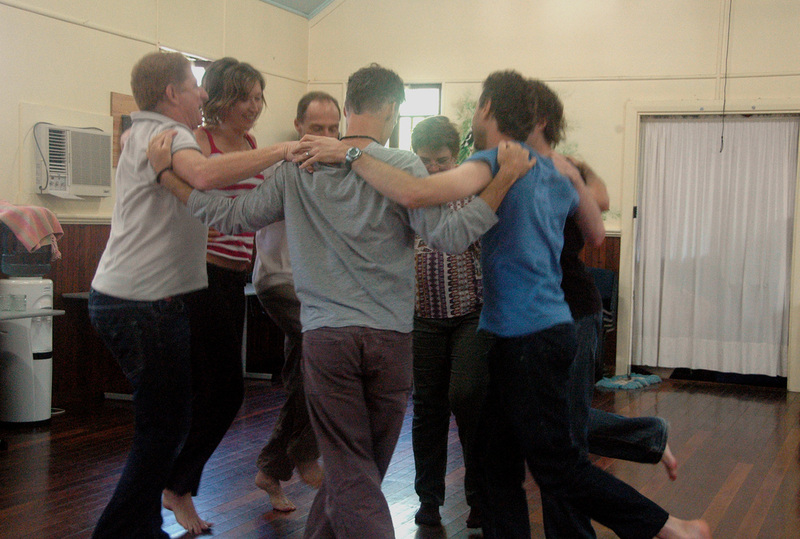 One person, “the presenter” steps into the middle of the circle of the group and acts. It is like an existential stage, which includes the whole person with his/her physical and verbal expressions, his mind, his creativity and his feelings. Started in 1978 in the Zegg Community in Germany, the Forum creates an empathic social environment that supports us to stay present with all that is inside, however it feels. It is a creative way for a group with a common vision and value system to create a safe space where members can share with the group in such a way that the consciousness of both the individual and the collective is raised. In a light and non-judgmental climate of caring and acceptance the identification with, and attachment to, emotional states is loosened. In part, Forum provides a stage for thoughts and feelings that are ever present in daily life but which lie veiled or suppressed out of fear of rejection or judgment. It is a vehicle designed to bring into group consciousness what has been, until now, only present in the individuals’ consciousness. Sometimes you will be surprised what you say when you step fully into the role of the actor in the center of the Forum and the process begins to flow. What emerges is the complexity of the human condition: its beauty, potential, paradoxes and violence. 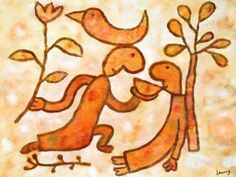 "Why do I say Zegg Forum is the Future of NVC (Nonviolent Communication)? As NVC Trainer Robert Gonzales recently said in a Trainers Teleconference, "Community" is the Future direction of NVC. And I have come to believe we need community building tools specifically designed for the job. This is where The Zegg Forum comes in. Developed at ZEGG intentional community (www.zegg.de), it is the foundation of over 13 highly successful, and powerful communites there and is used worldwide in all sorts of organizations, networks and communities. After over 26 years of teaching NVC, I have come to believe this kind of training is what is needed to help people grow and sustain their NVC practice and communities. So join us and learn how to use this powerful, transparency and transformation tool to start and grow your own compassionate, truthful and trusting community!" Our monthly Sustainable Kitchen Organic Cafe will be in full swing again the fourth Thursday morning of the month, at Bellbunya Community in Belli Park - next event Thursday, 24 April, from 9am to 1pm. Deep Ecologist, activist and Earth reconnection trainer Emma Brindal will share a free interactive talk introducing Deep Ecology and Joanna Macy’s ‘Work that Reconnects’. Through providing a space to connect with our inner responses to the condition of our world, and exploring and deepening our connection with the web of life, the approach of the Work that Reconnects enables us to become empowered and inspired to take new action for social and/or environmental change or to be able to sustain the work that we already do in contributing to a better world. Enjoy delicious, healthy, fresh food in the Sustainable Kitchen Cafe, including our signature "Dandelion Chai" and a range of delicious organic, vegan and gluten-free cakes, kombucha, and our own Chef Mana's home-made traditionally made Japanese sushi. Music in the cafe is provided by plants at Bellbunya, via "the Machine for the Music of the Plants" - the first and only of its kind currently in Australia. Our last organic swap-meet cafe and healing day in March was a great success despite the torrential rain, with around 25 people enjoying the ambiance, great food, stimulating talk by Ryan Mayne on Earthship and sustainable building technology, and the gifts of healing. A free interactive talk that explores how to evoke creative, compassionate and transformational responses to the ecologocal crisis of our time. Emma will introduce Deep Ecology and Joanna Macy’s ‘Work that Reconnects’. Through providing a space to connect with our inner responses to the condition of our world, and exploring and deepening our connection with the web of life, the approach of the Work that Reconnects enables us to become empowered and inspired to take new action for social and/or environmental change or to be able to sustain the work that we already do in contributing to a better world. This free talk will be held as part of our Organic Cafe, Swap-meet and Healing day. Ecology workshops since 2008 with the Brisbane-based group Earth Affinity. She sees this work as playing an important role in „The Great Turning‟ - the shift from our current Industrial Growth Model to a Life Sustaining Society. 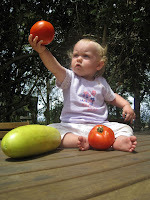 Co-founder and facilitator for "Wise-Earth Educaton", Emma explores ways to reinhabit place. Emma also has a background a teacher, group facilitator, and as a Climate Justice Campaigner with Friends of the Earth. She loves to bring her training in creative facilitation skills to facilitating women‟s circles and Earth Connection groups. She is committed to bringing about deeper understanding of the interconnectedness of all life as a key to the healing of our Earth. At this fully catered, residential, intensive retreat weekend, participants engage in individual transformation in a safe and professionally-guided group setting. The weekend provides a unique opportunity for deep inner-work and lasting transformation. blocked and held energy. You will work on your relationship to yourself and explore relating to others in radically alive ways. You will find what stands in the way of your full potential for life. The retreat is intended to provide permanent, radical change, not just offer a peak experience. When: 25th - 27th April, 2014. Cost: - $600 - Full price. - $500 if paid by 15th April. Enquiries & Registration: You can contact Trevor, register manually and pay via direct credit, or by PayPal. The Brandon Raynor School of Massage and Natural Therapies has been providing intensive massage education worldwide for over 16 years. Raynor Massage is an holistic, deep tissue massage designed to find and eliminate tension and restore the natural flow of energy in the body. This short and intensive course prepares you to work in the massage industry or provide quality treatments to friends and family. On completion of the course you will be qualified and certificated to work in massage and to obtain professional insurance. Accommodation and meals at reasonable cost can be provided when arranged at least one week ahead. Please contact Bellbunya at contact@bellbunya.org.au for details. Cost: The 5 day Certificate course costs $1,995 and the 10 day combined Certificate and Diploma course is $2,995. You can reserve a place with a deposit ($500/$995) and we have payment plans available, please ask for details. 10:00am Free talk - Robin Clayfield, "The Top 10 Ways to build loving relationships - in your community, your family and your life"
Permaculture pioneer, teacher, facilitator and author Robin Clayfield is presenting a free interactive talk on "the top ten ways to love your group/community/family". Explore practical ways to build love, resilience and connection. Arising from her processes that build stronger relationships and her co-creation of the "Love Feast", this interactive talk will give a glimpse of some of the learnings in her latest book that she is in the process of writing. Water purification that copies the actions of a natural rainforest stream? Sacred and spellbinding water features? UPATE 19 MAY - workshop is FULL - but you can register your name for any cancellation! Purify your natural swimming pool, mix biodynamic preparations, treat grey and black-water, add life-force to water or build amazing landscape features. Phillip is the Australian leader in this field, this is his only workshop on the Sunshine Coast in a decade. (kidney or curved shapes, steel or plastic). Have you wanted to treat your property with Biodynamics(BD) - and haven't the confidence or known where to start? Do you appreciate learning in combination of theory and practical, hands-on? And would you like to have access to ongoing support? available to support you in your ongoing journey of discovery. Sunday 22 June - Workshop 1: An introduction to Biodynamics, including a brief history of BD agriculture, the role of preparations, what they are and do, and the function and practical application of BD500. A look at the BD planting calendar. Sunday 20 July - Workshop 2: More of the calendar. More on the uses of preps 502-507. Rhythms in nature. All about tree paste, mixing & applying. Sunday 17 August - Workshop 3: The role of BD 508. Making manure concentrate. The importance of Humus. A total farming system. Soil profiles. Sunday 21 September - Workshop 4: The story of compost making. Making a compost. Water, BD501, function and application. Sunday 16 November - Workshop 5: BD method of pest & wedd control. Making an animal pepper. Cost: $250 for 5 workshops - paid in full at registration, or $60 for individual workshops. Numbers strictly limited. Bring vegetarian lunch to share. Other refreshments provided. 10:00am Free talk - Alane Millions on "Manage Your Emotions and Access Your Inner Leader Through The Way of the Horse"
Alane has a back ground in counseling, a passion for supporting people to expand the quality of their lives and a life long connection with horses. Combining these skills she has created Leading The Way International. Alane talking about how horses can teach us to manage our emotions, enhance our emotional agility and become powerful leaders using a non-predatory approach. Alane believes that animals (horses in particular) and nature will support humanity back to the place where we are once again connected to nature, thus connecting us back to our true, authentic selves. Horses teach us to respond to how people show up each day; they highlight our hidden gifts, our wounds, our vulnerabilities and our worn out worldly habits, and they do this without judgment, communicating that at our core we are beautiful, powerful, wise and capable of endless renewal. From this place of connectedness we can grow and thrive in a healthy, happy, joyous way and teach future generations how to do the same. Alane has a common sense approach to her teaching. She has worked with school groups, troubled youth, inmates and First Nations Leaders. 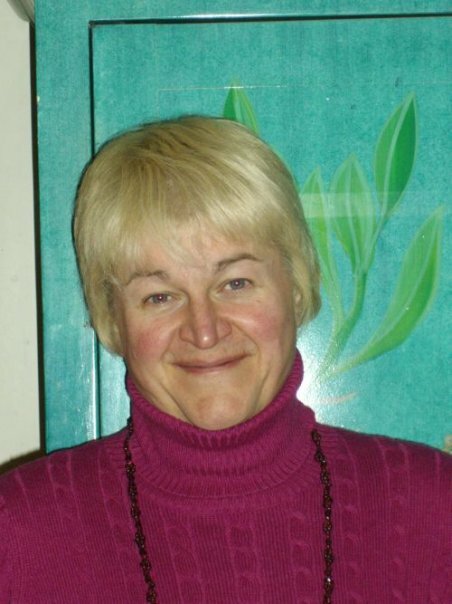 She is a trained Eponaquest Instructor, a Facilitator with Phoenix Rising Australia and is experienced in Bodywork, Gestalt, Group Work, Individual Support. Not to be missed! The co-originator of Permaculture touring with Canada's most renown speaker on energy descent. David Holmgren (co-founder of Permaculture with Bill Mollison, author of Permaculture: Principles and Pathways Beyond Sustainability), with Nicole Foss of The Automatic Earth, on Energy Descent - a full day workshop exploring the necessity and possibilities for energy descent with these elders and pioneers. Co-Founder of the Permaculture philosophy, David Holmgren creatively responds to a future with significantly less available energy using the Brown Tech Energy Descent scenario. Acclaimed international speaker Nicole Foss discusses Peak Oil, the collapse of global finance and how to prepare for the future ahead. THIS WORKSHOP IS NOW FULL, WE CANNOT TAKE ANY NEW PARTICIPANTS. Be the first to know what workshops we're running by joining Bellbunya on Facebook. Just as the sun gives us warmth and vitamin D, the Earth underfoot gives us food and water, a surface to walk, sit, stand, play, and build on, it also gives us an eternal, natural, and gentle energy. What does that mean to you? Maybe the difference between feeling good and not so good, of having little or a lot of energy, or sleeping well or not so well. Come along and hear a bit more about Earthing. Hayden has worked in the fitness industry and as a trainer in outdoor education, he is currently studying Naturopathy and has a passion for Earthing. Cost: it's the usual free talk! Create your ripple in our earth! Learn how to sculpt and build a beautiful cob oven using natural and recycled materials. Nicole is a highly qualified speaker and writer on energy and global finance. She tackles issues of financial and energy collapse, and provides a vision for the future to make any eventual fall less severe for those who prepare. Nicole is solution oriented, not fear oriented. She gives an in-depth analysis on why we are facing the limits to growth and useful strategies for local communities and households on how to prepare for fossil fuel shortage and economic collapse. In her talk, Nicole will explore a decision tree process, looking at the range of choices available to people at the individual, family and community levels. She'll look at the alternatives - urban, rural, suburban retrofit, intentional community, ecovillage - and all the advantages and disadvantages of each choice. Rafaele Joudry, of Atamai Village, will share some real life examples of a pioneering project for sustainable living on a village scale. Kestrel Maher, of Bellbunya Community, will host the evening. Cost: $15 dinner and talk, $5 talk only. 10:00am Free talk - Rob Birse - "Bringing life force to the Soil with Biodynamics". Biodynamics is a form of organic agriculture inspired by Spiritual Scientist Rudolf Steiner to bring life force to food and soils. This is a free talk by biodynamic farmer and teacher, Rob Birse. Rob first became involved in Biodynamics in 1979, when he attended a series of lectures given by Mr Robert Williams as an introduction to the lectures on biodynamic agriculture, which had been presented by Dr Rudolf Steiner in 1924. Mr Williams was the first person to bring the knowledge of these lectures to Australia in the 1940’s. Already committed for a number of years to the cause of conservation and organic farming, Rob was sufficiently inspired by these lectures and the quality of the biodynamic farms (and farmers) he came into contact with, to take on as a life task, a deepening of his knowledge of biodynamic agriculture and to practically applying the method in his gardening work. Waldorf education, again based on the work of Rudolf Steiner, has been a twin passion. Rob has been involved with gardening and teaching biodynamics and gardening at the Samford Valley Steiner School for more than 2 decades. WHERE: Bellbunya Organic Cafe and Swap-meet - see above! 10:00am Free talk - Dan McGough on his experiences as farm manager for 6 months on a working holistic/permaculture farm in Sweden. Also, Ruth Eedy offering creative visualisation/relaxation/meditation. retreat will take the form of sitting, standing, moving and lying down mindful and other meditation practices drawn from a secular Buddhist Dharma approach. It offers the opportunity to learn, explore and deepen the profound and transformative practices of loving kindness (metta) and insight (vipassana).The retreat will include periods of silence to support deep rest and self- nurturing. There will also be short Dharma talks and meditation instruction. All activities will be scheduled for support and optional to allow for individual needs. The retreat is suitable for those new to meditation practice and those with experience. NOTE: We ask you to commit to attending the entire retreat. If you cannot do this for any urgent or unexpected reason, please let us know. Your whole hearted commitment supports your fellow participants and expresses respect to yourself and the practice. Please bring warm (layered), loose comfortable clothes and sitting equipment including a mat, cushions and shawl / blanket if you have any (chairs will be available). Please let us know of any special diet (other than vegetarian) or other needs. Cost doesn’t include any payment to NeLi, She, like many Buddhist Dharma teachers choose to offer this retreat on a dana (generosity) basis, as has been the tradition for over 2500 years. There will be a dana box at the end of the retreat for offerings to NeLi. (Please bring cash or cheques for this purpose – there is no ATM handy). NeLi relies on these offerings to cover living expenses.